The June Strategy Saturday edition is happening next weekend. 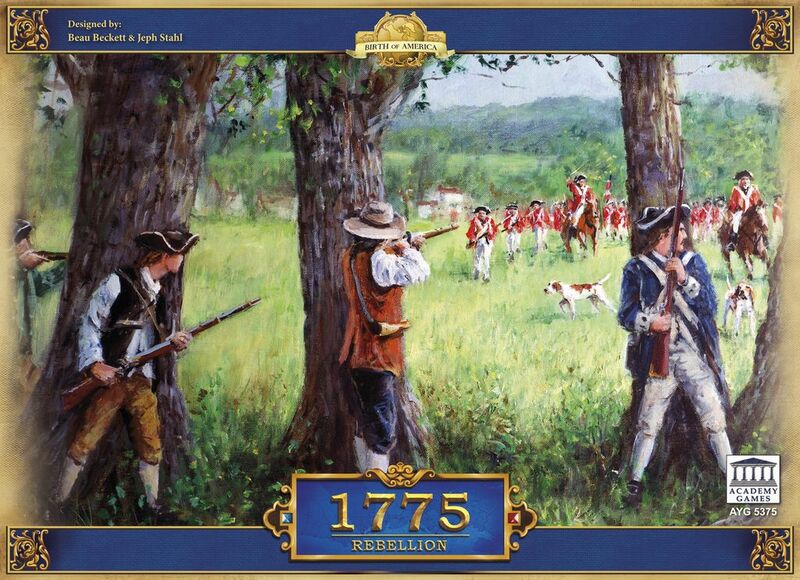 The game that will be featured is 1775: Rebellion which allows players to relive the battle for American independence from the British Empire. It is an award winning design that is easy to get into without the complexity of traditional war games. A great opportunity for people who have been unsure of this genre to try a military themed game and be introduced to history at the same time. !!! If you have a game you'd like to play and draw some attention to, feel free to volunteer for future Feature Game slots. Just drop me a note and I'll see if we can't get your game into the spotlight.